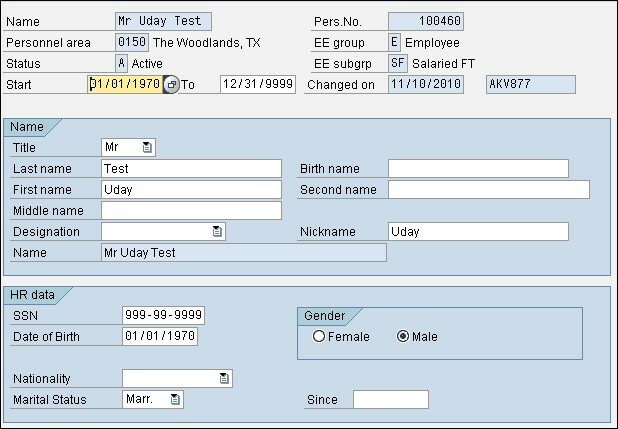 The infotype Personal Data (0002) stores data for identifying a person, such as name, birth date, SSN, gender, etc. Please note that, unlike PeopleSoft, you cannot store multiple personal ID's on this infotype. Example: We cannot store USA Social Security Number (SSN) and Canadian Social Insurance Number (SIN) for an employee at the same time.